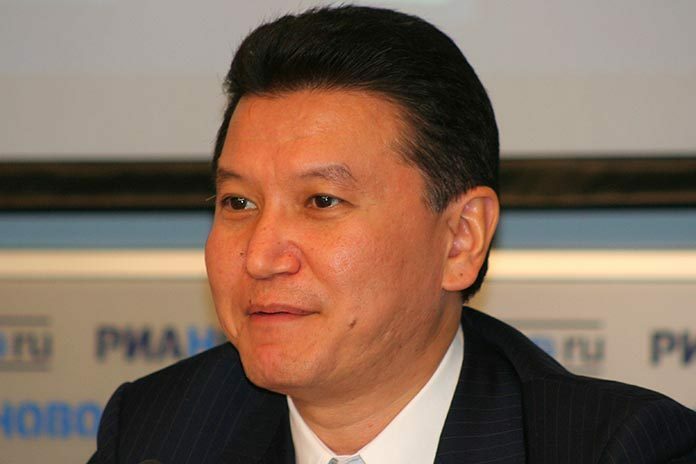 As quoted by Azerbaijani media, Ilyumzhinov said that the issue of Armenia’s participation in the 42nd Chess Olympiad was discussed during his recent trip to Yerevan. “During my visit [to Yerevan] I met with Armenian President Serzh Sargsyan, who is also head of the Chess Federation of Armenia, as well as with [top grandmaster] Levon Aronian and invited them to take part in the Olympiad. Until today I have heard no refusal from Armenia, and so Armenian chess players will take part in the Chess Olympiad in Baku,” said Ilyumzhinov. Vice-President of the Armenian Chess Federation Smbat Lputyan said in a statement today, however, that Armenia is still discussing the matter and has not decided on its participation yet. Armenian and Azerbaijani athletes have a history of avoiding competitions held in “enemy” territory because of the decades-long conflict in Nagorno Karabakh, which briefly escalated into large-scale hostilities in early April. Thus, because of security concerns, European soccer’s governing body, UEFA, had to cancel matches between the Armenian and Azerbaijani national teams that were to have been held in Baku and Yerevan in the run-up to Euro 2008. Individual Armenian and Azerbaijani athletes have also refused to travel to the neighboring country for competitions in different sports. But there have also been quite a few examples when they did participate in such competitions, with security guarantees provided at the international level. The latest such example is the participation of Armenian athletes in the first-ever European Games hosted in Baku last summer. No major incident was reported during those games or other major competitions in which Armenian and Azerbaijani sportspeople traveled to “hostile” territory. Visiting Yerevan earlier this month, FIDE’s Ilyumzhinov urged Armenia and Azerbaijan to “engage on the chessboard and not in the battlefields”, wishing Team Armenia to win their fourth Olympic gold medals at the Baku Olympiad.